Sorry... the 2016 BMW M5 is no longer being sold as new. 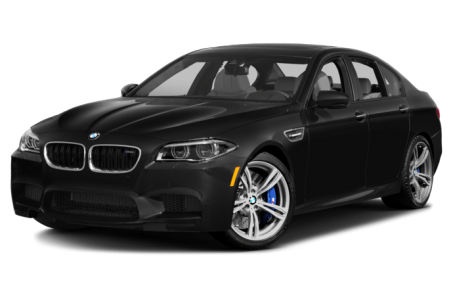 Instead, take the first step to a great deal on 2019 BMW M5 with a free price quote! The five-seat M5 is BMW’s high-performance variant of the 5 Series sedan. It’s powered by a twin-turbo V-8 engine that makes a whopping 560 hp and 500 pounds-feet of torque in its regular form. Offered with a six-speed manual or a seven-speed dual-clutch automatic, the M5 will sprint to 60 mph in the low-four-second range, according to BMW. Competitors include the Mercedes-Benz E63 AMG and Audi RS7. A power trunk lid is now standard for 2016 models. The 5 Series lineup also includes the Gran Turismo, a tall hatchback. There's also an ActiveHybrid 5 model.